Go faster to manage your stock. 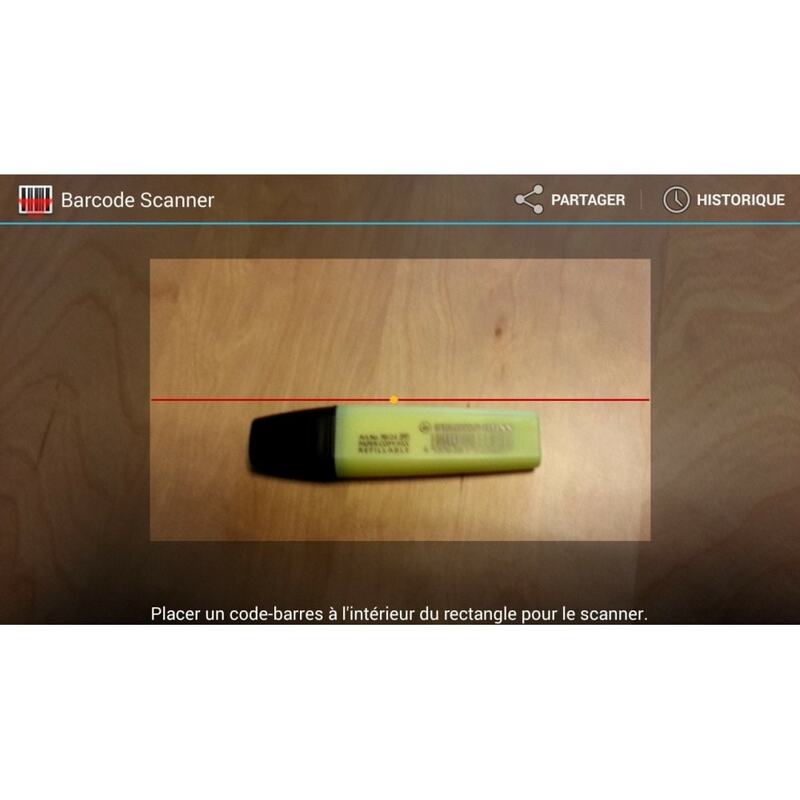 Scan your products ! 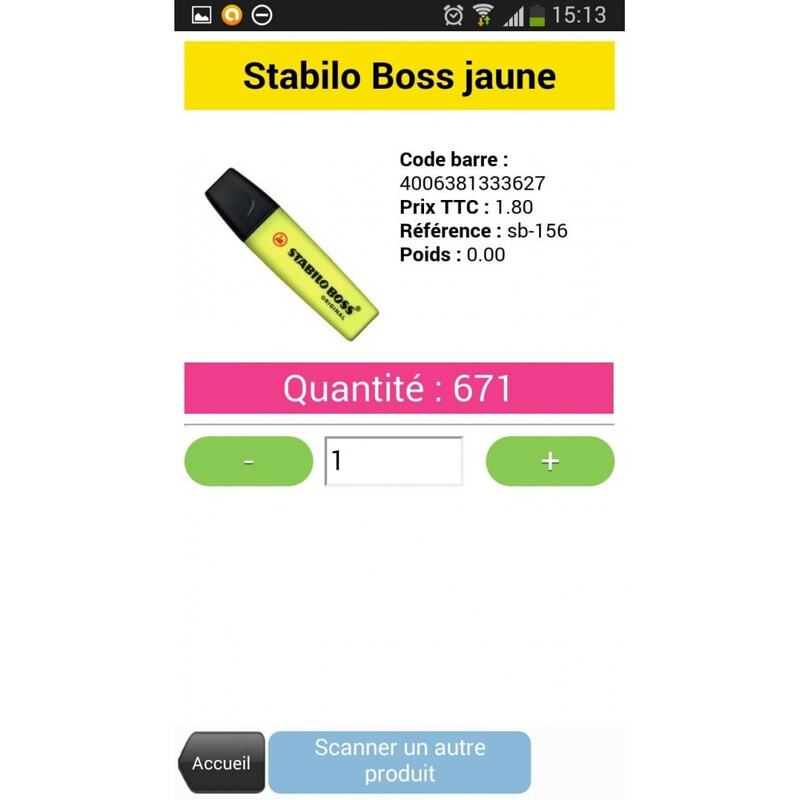 HelloScan-shop is an module who works with a smartphone app. It allows to manage your stock with the scan technology. When you prepare an order, scan the products for automatically reduce the stock on your Prestashop. You can choose the number to avoid to scan several times the same product. Not only you'll go faster for preparing your command, but you'll avoid error too. The application works only if yours products have barcodes. Works with a smartphone app. Scan a product and allows to add or decrease the stock. Обновите Prestashop 1.4, 1.5 или 1.6 до Prestashop 1.7 за мгновение! MigrationPro — это лучший модуль миграции из Prestashop в Prestashop, поможет перенести все ваши данные, а также всегда поддерживать свой магазин в полностью обновленном состоянии. The installation of the Prestashop Module, who creates a random security key. Validate the setting to create a QR code. 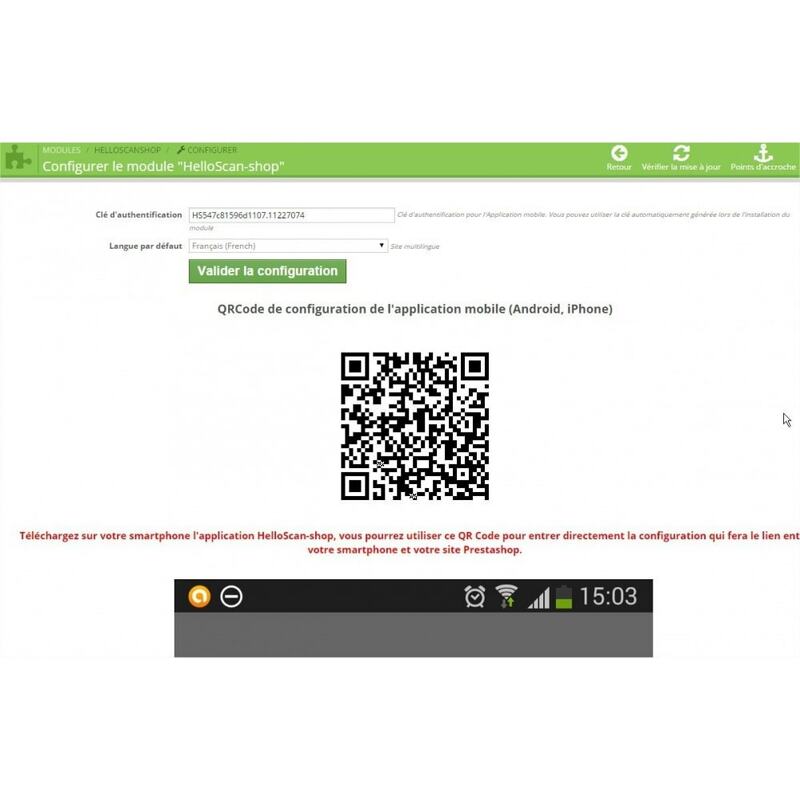 The installation of the smartphone application (iPhone or Android). 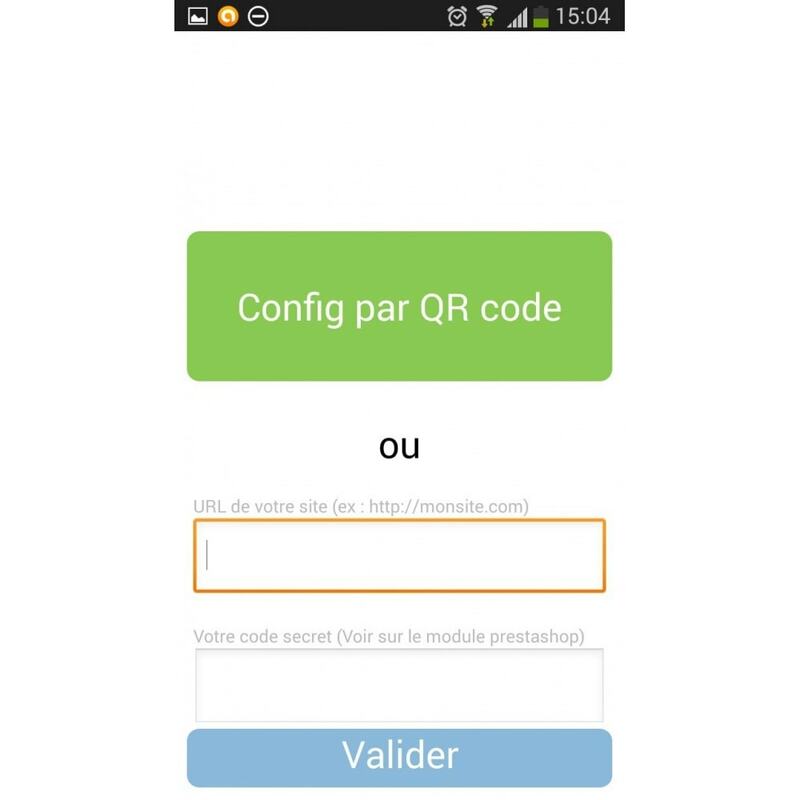 In the setting view, touch the button and scan your module prestashop QR code. You can now scan yours products.